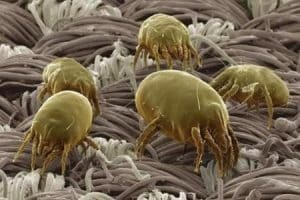 The foot traffic passing through your home contains microorganisms, dirt, and allergens, which work deeper into your carpet. D-Max Carpet Care will pull all the debris, dust, and other particles from your carpet. We give you a deeper clean. It will also have a much better look and feel, plus the many health benefits. We do steam carpet cleaning, which is the best method to keep carpets clean and looking like new. Regular carpet cleaning can preserve your health. Carpets are a hotbed for bacteria and allergens and can expose you and your family to hazardous contaminants. If someone in your home has allergies, regular carpet cleaning is essential. You’ll also need to do regular cleanings if you have children or pets. Take advantage of the carpet cleaning specials that D-Max Carpet Care offers. Contact us today to arrange your carpet cleaning. Families enjoy living in clean, healthy homes, and it’s every homeowner’s desire. Clean carpets are an essential part of having a home you can take pleasure in. Is it better to call a professional carpet cleaning company or DIY? This decision is an important one. D-Max Carpet Cleaning Houston offers a variety of services. They add convenience to your life, and they are affordable. You can use professional carpet cleaning services, even if your floor seems spotless. Have you succeeded in spot-treating certain stains, so they’re no longer noticeable? There’s still no guarantee that your carpets are clean. The best way to ensure clean, spotless floors is to use our steam carpet cleaning services. We offer the best carpet cleaning service. Call us if you want your rugs to withstand years of wear. Of course, it’s cheaper to rent a machine and do your deep carpet cleaning yourself. But while professional carpet cleaning in Houston, TX comes at a cost, DIY carpet cleaning comes at a risk. Today’s carpet manufacturers use individual fibers and fiber blends. Some of these blends will absorb cleaning solutions and others won’t. Some will even break down with the use of certain products. Pre-Inspection:Our technician will inspect your home to assess your carpet cleaning needs. We examine the carpets and discuss carpet cleaning procedure with you. We also listen to your concerns and point out problem areas. We give you professional carpet cleaning advice for stain prevention. We also show you how to do aftercare in this step. Set-up and Preparation:We set up our hoses running in from our truck-mount to the cleaning area. During the setup, we pay attention to the details like walls and flooring. The truck-mounted extraction system is integral to deep carpet cleaning. It is an excellent way to remove as much soil and foreign matter as possible. This residential carpet cleaning method does not cause any harm or damage to humans or pets. It’s also safe for the environment and the carpet. Vacuum:We use our commercial vacuum cleaner on your carpet. This step is to remove bonded dry soil and solids. It is one of the most critical parts of carpet cleaning. Houston has a humid, subtropical climate, and people and pets often track dirt inside. The carpet traps this dirt, and this professional carpet cleaning step removes it all. Pre-treatment:We pre-treat your carpet with a detergent solution. During pre-treatment, we pay attention to heavy traffic areas and stains. 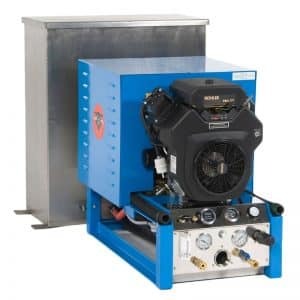 It is part of the complete carpet cleaning process. The pre-treatment breaks down the soil and spots in areas with a lot of traffic. Agitation: Next we agitate heavy traffic areas with a special brush or machine. The tool that we use depends on the severity of soil buildup. The agitation process spreads the cleaning solution thoroughly and uniformly. It’s essential to apply the solution over all the fibers when doing a deep carpet cleaning. This solution is what cleans your carpet, and you should make sure it’s on every square inch. A secondary purpose of agitation is to remove any soil particles that may be clinging to the fabric. Hot water Extraction:We use our truck mount unit to force a boiling rinse solution into your carpet. This solution comprises a mixture of water, deodorizer, and softener. We push it into your carpet under high pressure. We then vacuum out the mix with our truck mount unit. apply Scott Guard or Teflon carpet protector to your carpet. Raking/Grooming:We rake the carpet to distribute the carpet protector. It’s essential to ensure that it’s even all around. Post Inspection:Our carpet cleaning professionals will inspect the house with you. We want to make sure that you’re thrilled with the job. During this tour, we explain what to do for the drying process, and we give precautions for the wet carpet. We then leave you with carpet care instructions until next visit. You’ll have to think about your usage to decide whether a carpet protector is worth the money for you. Is your carpet wearing out? Does somebody in your home often make messes? 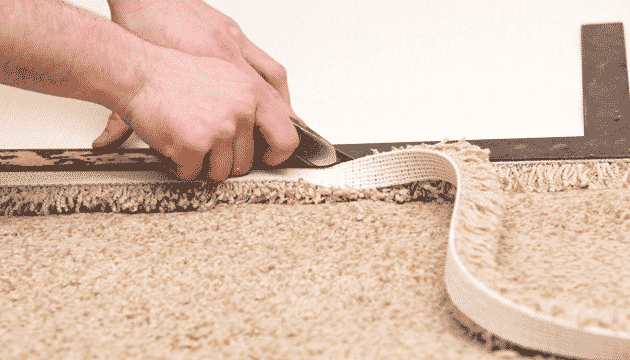 The fibers absorb the mess when you spill something on most unprotected carpets. Once the mess gets into those threads, it creates stains and odors. Carpet protection works by preventing dirt from getting into the fibers. It blocks them from absorbing the spills. Samuel Smith and Patsy Sherman discovered the repellant properties of carpet protectant. They made this discovery by accident in 1952. By 1956 3M Scotchgard was being marketed worldwide as a post-spray-down. 3M touted it for furniture and carpets. Many customers say no to carpet protector. Why do they reject it? Because most carpet cleaning Houston companies do not use Scotchgard. 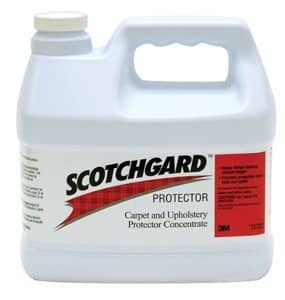 But, in our experience, Scotchgard outperforms all the other protectors on the market. 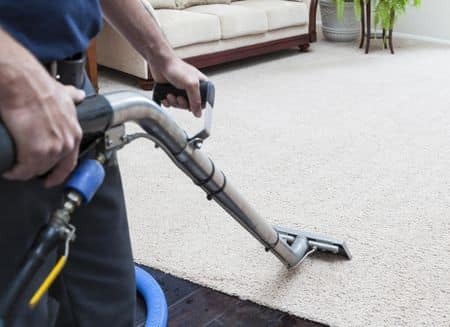 Manufacturers treat new carpet with the soil-resistant protectant, which means it will take a much longer time to call for the first professional cleaning. The protector in the heavy use areas wears off after about two years. These areas then attract soil much faster. When in this condition, your carpet will perform as if it were never treated. Soil resistant protector keeps rugs looking spotless between professional cleanings. Do you want to bring back your carpet to a “like new” condition? Have your carpet cleaning company reapply the protector. Carpet protector will make spot and spill cleanup painless. It offers soil resistance and stain protection, reducing the likelihood of permanent stains. Carpet protector also makes vacuuming more accessible, faster, and more efficient. It will leave your carpet brighter, cleaner, and fresher. 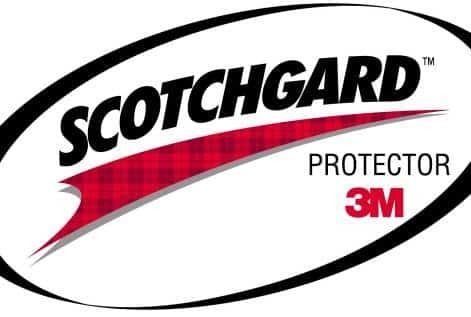 Scotchgard Protector is safe for children and pets. Spending the extra money on a carpet protector is worth it to reduce the inevitable messes to clean. It also enhances performance and helps your carpet to last longer. It reduces permanent stains and keeps your high traffic areas safe from damage. Spot removal is uncomplicated. It also makes your next professional clean easier. 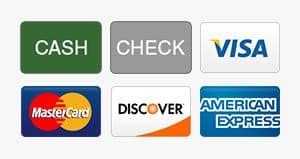 And, it helps you avoid expensive service fees. Do you have a pet? A house that stinks of a pet does not always signify bad housekeeping on the homeowner’s part. The carpet may be to blame. Damaged carpet from pet urine is common with the growing number of pets in American homes. D-Max has a devoted team of specialists and a collection of innovative pet-friendly carpet cleaning products. We have the tools to tackle any job, large or small. We love our pets here at the D-Max Carpet Cleaning Houston Office. But, it’s difficult to deal with a pet urine accident when it occurs. It’s also hard to know where past incidents may have taken place. There may even be some that you may not have known about that are now producing a nasty smell. The stench from pet accidents can travel throughout your whole home. So, treat pet stains the right way. Your health is at stake, and so is your happiness. The pet odor and stain removal processes are quite complex. Urine in your carpet is a severe problem that requires major restoration work. Urine deposited on your carpet does not stay there. It penetrates the fibers. It contaminates both the carpet backing and the floor beneath. Without your knowing, pets will often continue to urinate in the same location. The liquid will evaporate, but the urine crystals become even more concentrated. They also become more pungent. Simple cleaning and treating are inadequate. It will help if you pre-treat the affected area as soon as possible. Use paper towels and newspaper to soak up the moisture before the urine dries. Next, rinse the affected area with clean water, and soak up the moisture with a clean, dry towel. Speed up the drying process with a vacuum cleaner or hair dryer. Or spread baking soda over the affected area and give it a light scrub. Let it work for three or four hours before vacuuming. This treatment is a temporary fix. It will hold off the bad odor until we arrive with the permanent solution. Let us locate the source with our specialized urine detection system. We will treat it with suitable deodorizing agents to break down the stench and remove it. 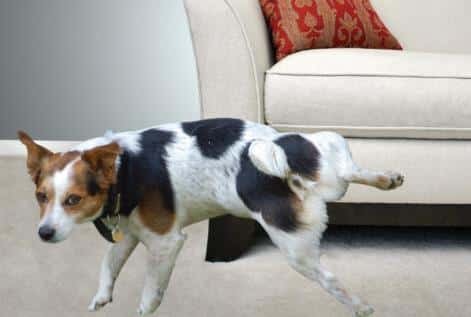 Even the best-behaved pet can get sick on your furniture or carpet or have an accident. Let your cherished family pet return to its chosen place by your side or by your feet. We will do our job by getting rid of the pet odor and removing persistent stains. Tears and rips in your carpet are unfortunate. But, like most carpet cleaning companies, we can restore it. We’ve seen all kinds of flooring damage. Have you come home to discover that the cat decided to sharpen his claws on the luxurious carpeting? Or did your darling pooch miss you so much that he spent the afternoon digging a hole in the living room? Have your movers dragged large appliances and pieces of furniture across your carpet? The latter is a common cause of tears and rips. We will ensure your carpet seams stay together. Waves, wrinkles, bulges, or lumps: give us a call today if your carpet has any of these. Waves and ripples can cause you to trip and fall. We’ll take care of it by re-stretching the rug, which helps it to last longer. We use a power stretcher, which is the industry standard for removing waves and ripples. Power stretching gives your home a newer appearance and helps your carpet to look much better. DO NOT settle for the use of a knee kicker. If you do, the ripples will come back. Save time, money, and aggravation by getting the job done right the first time. We’ve also mastered flood preparation. Carpeting takes forever to dry when the padding gets soaked. The biggest problem is that if you let it dry on its own, mold will appear on it. We can ensure that that does not happen. Search online for “carpet cleaning near me” and select D-Max Carpet Care. We’re the carpet cleaning professionals. No matter how clean your carpet once was, there’s no escaping it, over time it endures life! The carpet cleaning and repair specialists at D-Max are masters. They can fix old, beat-up carpet, so it looks like new again. We are compliant with the Institute of Inspection, Cleaning and Restoration Certification (IICRC). We do our best to repair, so you don’t have to replace. Consequently, we have gained a lot of experience in restoring all types of damaged carpet. One of the most prevalent types of damage that we have to deal with is incorrect installation. ARE YOU LOOKING FOR CARPET CLEANING COMPANY ? 1.1.1.5.1 ARE YOU LOOKING FOR CARPET CLEANING COMPANY ?